Housed in an ornate 19th-century building, the Pera Museum opened in Istanbul’s Beyoglu district in 2005. 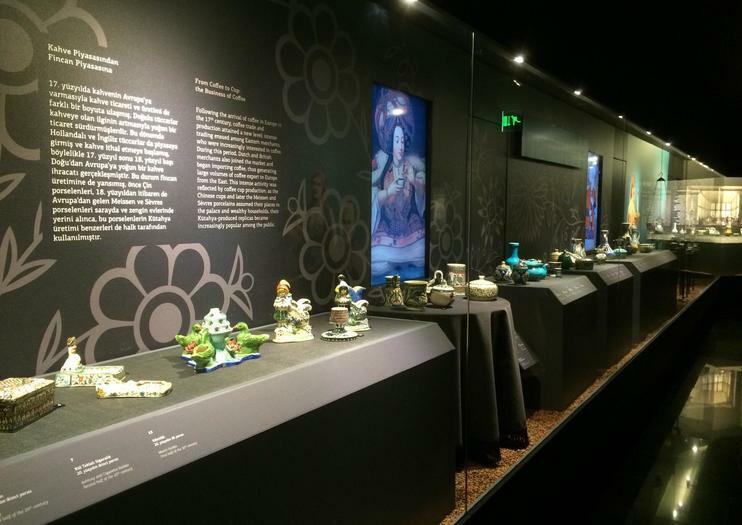 Its contemporary gallery spaces showcase an impressive permanent collection of Orientalist paintings—including Osman Hamdi Bey’s most famous artwork, The Tortoise Trainer—Anatolian weights and measures, and Kutahya tiles and ceramics. The Orientalist Paintings Collection features works inspired by the 17th to 19th centuries of Ottoman rule. The Anatolian Weights and Measures Collection contains a vast array of 10,000 prehistoric and modern artifacts. In the Kutahya Tiles and Ceramic Collection, admire hundreds of crafts from Turkey’s Kutahya region, and discover 19th- and 20th-century Istanbul in the Photography Collection. There are also rotating modern art exhibitions on the museum’s upper floors. Some private and small-group walking tours of the Beyoglu district visit the Pera Museum. Often tours also visit Istiklal Avenue, the Museum of Innocence (Masumiyet Müzesi), and the Cukurcuma neighborhood. The Pera Museum is a must-visit for art and art history buffs. The museum is free on Friday nights, and for all disabled visitors and one companion. Wear comfortable shoes while you explore the multifloored museum. The Pera Museum is not far from Istiklal, the main pedestrian boulevard in Istanbul. It’s a short walk from both Taksim and Tunel squares, where there are metro stops and funiculars that connect to the tram line. It is most convenient to arrive by taxi, or to book a tour that includes transportation to the museum. The museum is open from 10am to 7pm Tuesday to Thursday and Saturday, to 10pm Friday, and 12pm to 6pm Sunday. The museum is closed for some religious holidays and January 1. Arrive early in the day to beat the crowds. While the Pera’s permanent collection looks to Turkey’s rich past, the museum’s rotating contemporary exhibitions focus on the present. Past exhibitions have included works by a South American sculptor, Singaporean photographers, and multimedia shows from Balkan artists. The museum is also often a venue for the Istanbul Biennial and Istanbul Design Biennial. Highlights: Istanbul is not only the capital of Empires and history, its also the capital of art and this tour will give us a chance to see some.